As some of us already blogged, the last week was a Hack Week inside Novell, where we the Novell engineers are allowed to work on whatever project we are pleased to work on. Given the opportunity, I decided to work on some UI polish work for OOo that I had always wanted to work on but could not due to other priorities. These are the results of my Hack Week effort. First, I wanted to implement animated border to outline copied ranges. Currently, copied ranges are outlined with static solid borders, but it was not always obvious to the users what those borders were for. 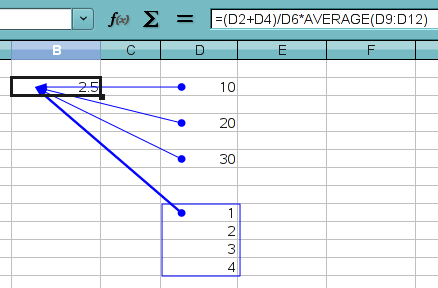 Excel and Gnumeric, for instance, use animated dashed borders, which look more intuitive than static borders to depict copied ranges. Long story short, we now have animated dashed borders in Calc as well. It’s not obvious in the above screenshot since it’s a static image, but trust me, it does animate. ;-) I consider this a natural extension of the previous work that Jon Pryor did for pasting on ENTER key. The second work I did was to brush up the document modified status window, to display disk image to indicate whether the document is modified or not. Previously OOo displayed ‘*’ when the current document is modified, or none if it is not modified. I wanted to make it a little fancier so that it would catch more attention of the users. Anyway, here is the result. This is what the status bar looks like when the document is modified. The image I used here is basically a reduced version of the save icon in Tango icon theme. However, I am not an artist, and I don’t consider this image to be a final version. So the final image is still subject to change without notice. This is what the status bar looks like when the document is not modified. Basically a black & white version of the document-modified image, with some translucency applied. That’s all the work I did during Hack Week. I couldn’t spend as much time as I would have liked since I still had to take care of other tasks even during Hack Week, but hopefully you guys like what I did. Just checked this piece into the master branch of the go-oo repository. It allows traversing to precedents and dependents of a cell by Ctrl-[ and Ctrl-] key strokes, respectively. It is similar in concept to the existing Detective functionality, but while Detective graphically shows the precedents and dependents of a current cell, this new functionality physically moves the cursor to the precedent and dependent cells. 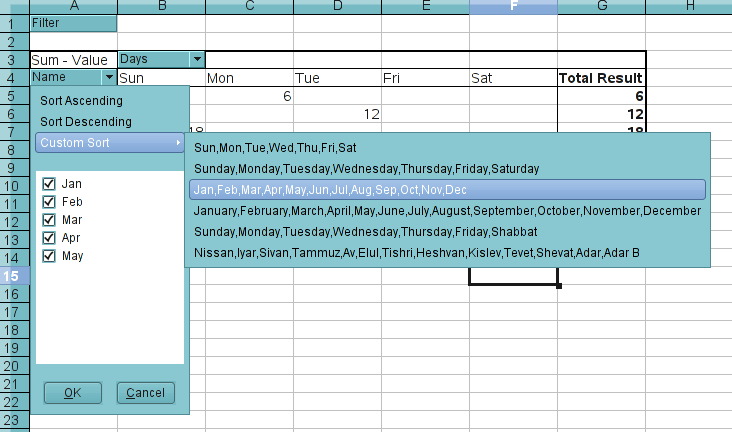 Similar functionality already existed in Excel, so this is one of those interoperability features and, for some spreadsheet users, the ability to jump to precedents/dependents is apparently very important for their productivity. 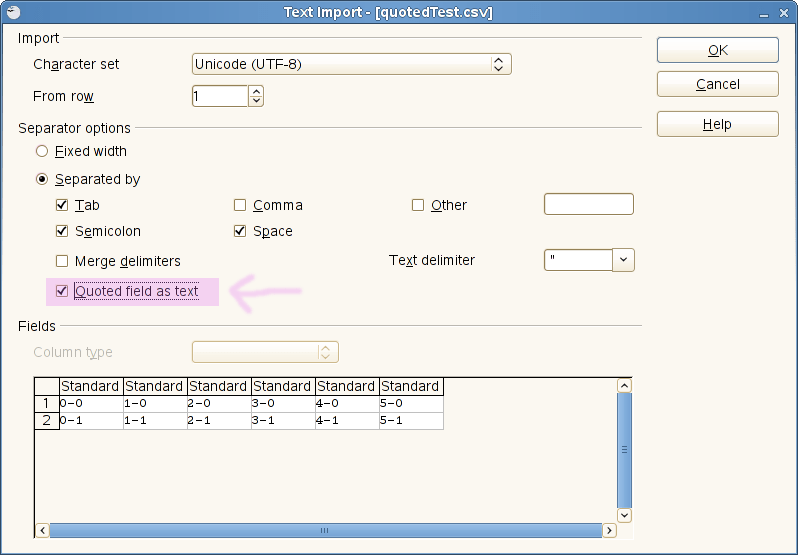 In the first example, the cell currently selected contains references to three cells and one cell range in its formula expression. I’m showing the precedent traces here just to show their relationship visually. When you hit Ctrl-[, it highlights all its reference cells (a.k.a precedents) and moves the cursor to the first precedent. 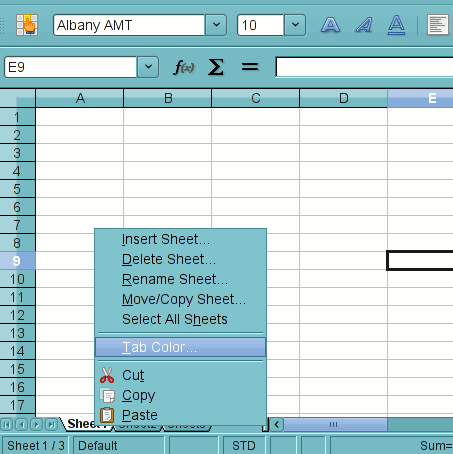 Once the cells are highlighted, you can easily navigate through the highlighted cells by hitting the Enter or Tab key. There is one caveat. 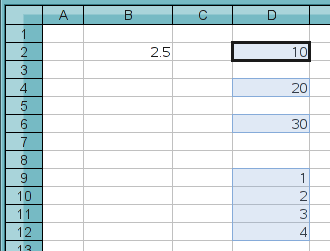 When the expression includes references to cells outside of the current sheet, the ones that are not on the current sheet are ignored. 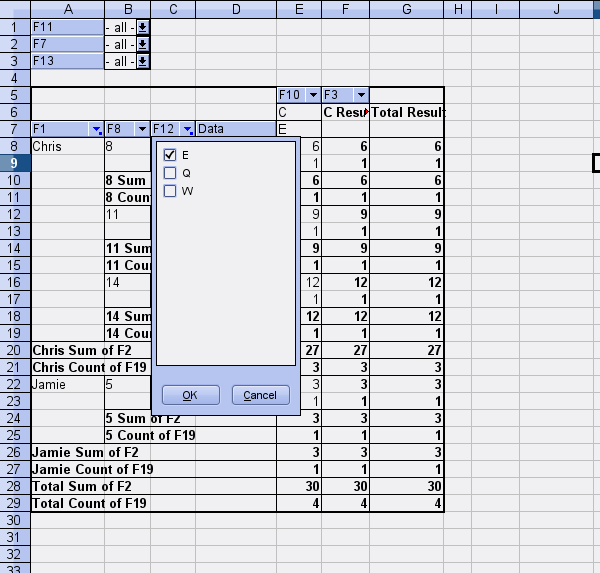 The only exception to this rule is when the first reference points to a cell in another sheet, in which case it jumps to that external-sheet cell while the rest of the references are ignored even if they are on the current sheet. If that reference is in another document (i.e. external reference), it opens that document then sets the cursor to the referenced cell position provided that the document is available at specified location in the file system. where current cell is referenced by multiple other cells. Again, I’m showing the dependency traces to display their relationship graphically. When you hit Ctrl-], it highlights all its dependent cells and moves the cursor to the first dependent cell. 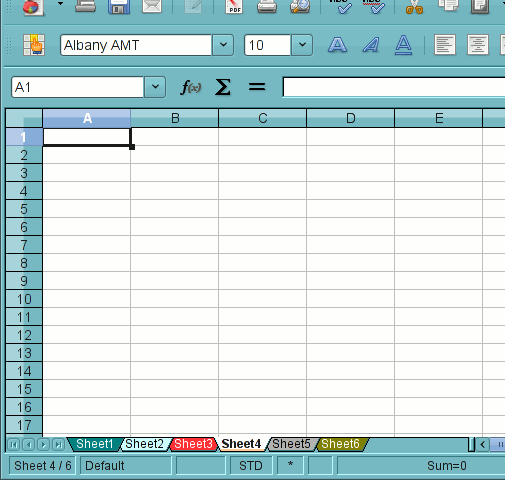 Similar to the precedent jump, there is a caveat; when the cell is referenced by cells on multiple different sheets including the current sheet, only those cells on the current sheet are highlighted and the rest are ignored. But unlike the precedent jump, there is no exception to this rule. The new field buttons also provide visual feedback on fields that are filtered; the same way the autofilter buttons already do. This way it’s visually obvious to the users which fields are currently filtered. I call this a “minor” enhancement, simply because it doesn’t provide a new functionality per se; the same filtering functionality was already present but hidden deep beneath multiple layers of dialogs. You needed to go from the datapilot layout dialog (the main dialog), open up the field dialog for the field you want to filter results by, and then finally the field options dialog to get to the Hide items list in that dialog. This enhancement will push that functionality up-front and make it more accessible to the users, along with some visual feedback. I just checked in to go-oo trunk the latest patch from Daniel Watson that enables coloring of sheet tabs in Calc. With his latest patch, the tab color dialog looks more compact and polished, which I definitely prefer over the previous version. In case it’s not obvious how to use this feature, here are some screenshots to show how. In the context menu on the sheet tab, there is now a new entry called Tab Color. 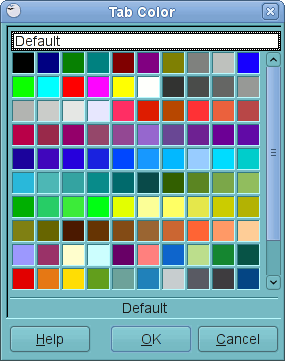 Select that menu to bring up the color palette dialog. BTW Daniel did this almost entirely on his own, with just a teeny bit of help from Eric Bachard and myself. He is very thorough and the quality of his code is pretty high. He maintains the spec for this feature right here. He is also anxious to get this feature upstreamed, and judging by the kind of reaction he is getting from the upstream Calc team, I’m pretty sure this feature is on a fast track to upstream acceptance. ;-) Great job Daniel! Oh, one last thing. Please try out this feature and test it out. It’s text when it’s quoted, stupid! Ok. This is another one I just checked into ooo-build trunk. It’s actually a very minor enhancement, but some people may find this useful. Hopefully what it does is self-evident. If not, here is an example. "0-0" "1-0" "2-0" "3-0" "4-0" "5-0"
"0-1" "1-1" "2-1" "3-1" "4-1" "5-1"
"0-0" "1-0" "2-0" "3-0" "4-0" "5-0" "0-1" "1-1" "2-1" "3-1" "4-1" "5-1"
As you can see, most of the fields got converted to dates. You get the same results even if those individual cells are not quoted, because Calc’s current csv import filter doesn’t make any distinction between quoted and unquoted fields in terms of data types. So, here is another new thing in ooo-build trunk that I just checked in. 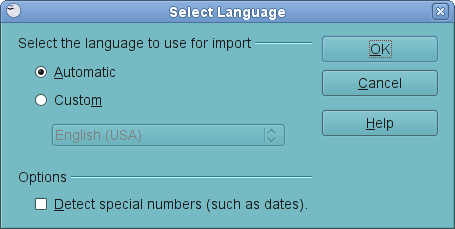 This may be particularly of interest to users in English-speaking countries. like you are used to if you are coming from the other major spreadsheet application from the certain big company on the west coast of the US. 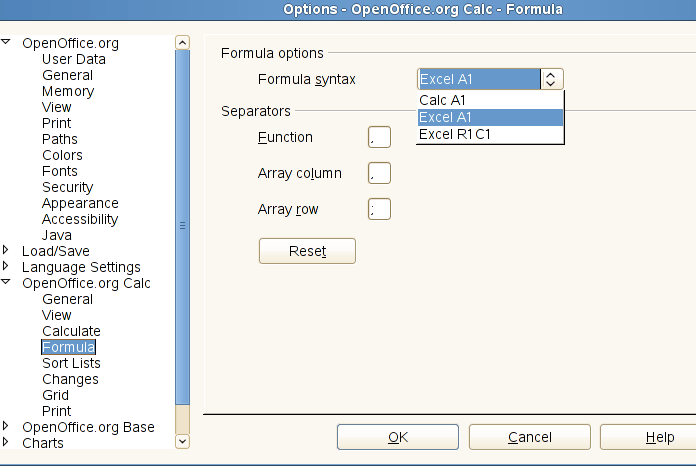 Now, the formula syntax option was there before I checked this piece in, but it was in the Calculate option page. I moved it to the new Formula page because I felt that those two configuration options really should belong together. 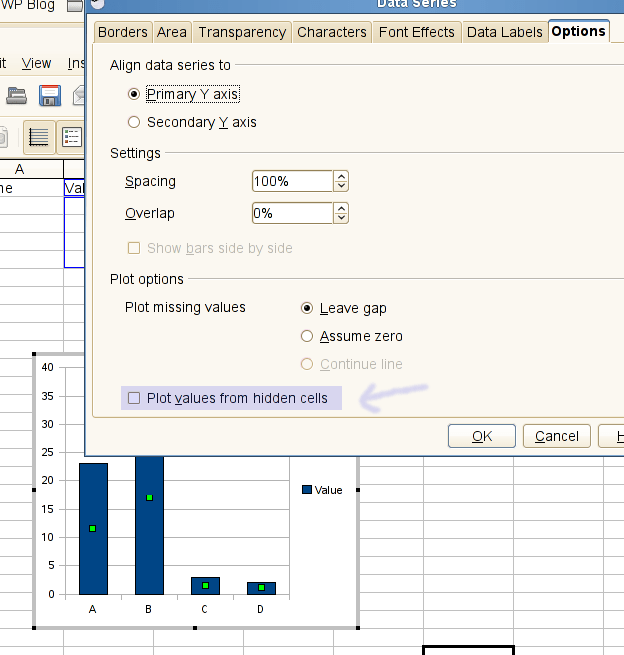 There is now a new check box in the Data Series Option page, to select whether or not to plot data from hidden cells. 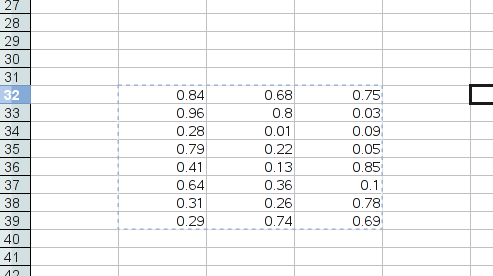 By default, chart plots all data points regardless of cell’s visibility (which means the check box is on by default). By un-selecting the check box, the chart now only plots data from visible cells, and every time you show or hide a part of the source data range, the chart gets updated. The upstreaming effort is underway in the koheichart01 CWS. I’m trying to squeeze this into 3.1, but because of the limited availability of QA resource, it might likely slip into 3.2. I’m still trying to find someone who can QA my CWS, but let’s see what happens.